Bridging awards mark a girl's transition from one leadership level to the next. 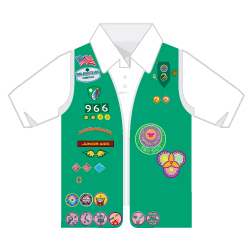 An exciting time in a Girl Scout's life, the earning of the award and completion of the activities are designed to emphasize the continuity of one Girl Scout program and to welcome girls to an anticipated "next level." For more information and placement of the Bridge to Junior Girl Scout Award, please click here.